I’ve written many posts recently predicting that if the social conservatives continue to dominate the Republican Party they will remain a regional party of the south and Mormon-belt of the west (currently their only safe states), or possibly go the way of the Whigs. Many Republicans appear to understand the problems they face and are seeking to change the look of the GOP. 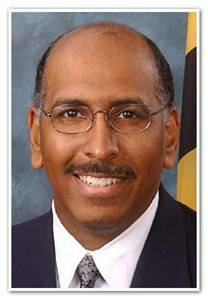 One move in that direction is the election of Michael Steele as the first black chairman of the Republican National Committee. Even more than race, even as Steele lauded the party’s conservative members, his election marks a step away from the balkanized Southern white ethos of the party. Steele, pro-life, has worked with moderate Republicans all of his life, although he did his best during the campaign to minimize those ties. If he reverts to form, it means that the RNC has just selected a chairman who will not prioritize social issues above economic issues. When people speak of broadening the party’s geographic diversity, they are speaking in code. They mean that the party needs to welcome more moderates; needs to be more forgiving of departures from orthodoxy; need to be less antagonistic to pro-choicers and gays. The question is whether this will be enough. Even if they don’t make restriction of abortion rights and discrimination against gays their primary issues, a party which still advocates such positions will remain an unacceptable choice. Steele might be more moderate than some Republicans running around but, considering how extreme the GOP has become in recent years, this leaves room for someone to still be a right wing extremist even if they are not the most reactionary person in the room. Stressing economic issues as opposed to social issues would be an improvement for the GOP, but only if they can drop their social conservative positions as easily as Steele dropped his objection to embryonic stem cell research. Some believe that conservatives who are so out of touch with reality to equate abortion with “baby killing” can never drop their opposition to abortion. 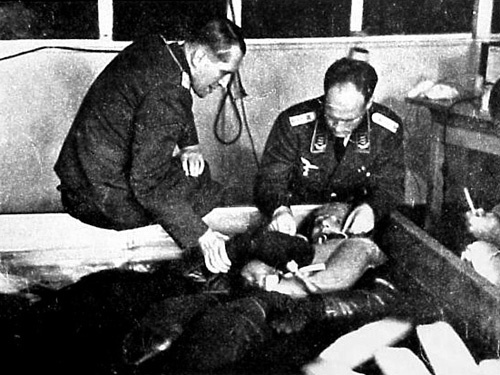 If Steele can drop his objection to stem cell research after equating it with Nazi doctors and the Holocaust, then perhaps other Republicans can moderate their views on abortion. Steve Benen notes that “Glenn Beck’s ratings on CNN Headline News were so weak, his largely-unknown replacement is already generating better numbers.” That’s no surprise. While Beck might bring in more viewers at Fox, anywhere else I’d expect him to have a negative influence on ratings. I’d expect viewers at HLN to change the channel just because Beck is on. As long as someone doesn’t have the negative influence of someone like Glenn Beck, ratings are likely to be better. I’ve previously noted that the appointment of Cass Sunstein to head the Office of Information and Regulatory Affairs, beyond his somewhat libertarian views on regulation, was potentially beneficial as this would bring his wife Samantha Power to Washington–just in case Obama needed any reminder that Hillary Clinton is a monster. Obama is reportedly going to appoint Power to be senior director for multilateral affairs at the National Security Council. The appointment of Power also restores the Austan-Power influence on the Obama administration which had previously been present during his campaign. As James Joyner suggests, this appointment is also consistent with speculation that foreign policy will be run from the White House as opposed to the Clinton State Department.